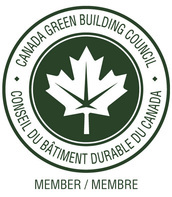 Carbon Busters® supports LEED® certification for commercial buildings. Carbon Assessment and Greenhouse Gas Tracking from our partner Carbon Consult Group. Two staff members are certified LEED® Accredited Professionals and have completed their PassivHaus Design course work. Carbon Busters is a member of the Solar Energy Society of Alberta. Green building energy audit & retrofits from our partner C-Returns. Godo Stoyke successfully completed the EMS Lead Auditor course in the spring of 2004. At Carbon Busters we walk the talk. We are fully committed to reducing the environmental impact of our business and are striving to achieve zero net CO2e emissions. Carbon Busters has been awarded Gold level reporting status by the Canadian GHG Challenge Registry for 8 years and has been carbon neutral since 2003. Carbon Busters is a supporter of The Livia Stoyke Foundation to support women, children, the environment, the arts and the eradication of poverty.